Big sharks are fascinating. On television, anyway. When we're in the ocean, maybe not so much. If you enjoy snorkeling you know the thrill of spotting different species of fish and other marine wildlife. If you’re lucky you might see a sea turtle, a big octopus or some other interesting critter down there. But if you start thinking about sharks while you’re in the water, it probably won’t be long until you find yourself getting a little anxious, and not much longer still until you decide you’re awfully thirsty and it might be a good time to head to shore for a cool drink. Little sharks are fun, but big sharks, well, they can do bad things to us wimpy humans. Every summer there are a few reports of shark attacks at beaches, and every year people seem shocked. Here are the facts: Sharks live in the water, and when people go in the water they become a potential food source for sharks. Sharks attack humans for the same reason sharks do anything: because they are trying to survive. Still, shark attacks are not common, and if you head to the beach your chances of getting chomped aren’t very high. Most sharks, especially those close to shore, aren’t big enough to threaten you. But there are some monsters in the sea, the stuff of nightmares and legends, and when these sharks come around you’d better get back to the beach and get in some time lying in the sun. Big sharks are out there, and to them you are simply lunch. How Big Can Sharks Get? The whale shark is technically the largest shark in the world at a presumed maximum length of around fifty feet. However, the whale shark is a filter feeder, and unless you are plankton you have nothing to fear from this goliath. The same can be said for the basking shark, a huge animal capable of reaching lengths up to 40 feet. These are not the creatures that keep us awake the night before our trip to the beach, but a predator of similar size did once roam the oceans of the world. The megalodon shark was the size of a whale shark or bigger, and possessed the predatory nature of a great white. Some believe the megalodon is still alive and well somewhere in the depths of the sea, but science accepts that it went extinct thousands of years ago. But there are still some beasts out there that can ruin your day. Here are a few of the biggest and scariest sharks in the water. Thanks to the movie Jaws, many of us will forever hear those two piano notes any time we venture into the ocean. The movie was a fictional exaggeration, but the great white is indeed a shark worth fearing. At maximum documented lengths of over twenty-one feet, with some researchers believing they are capable of reaching over thirty feet, the great white is the apex predator of the sea. 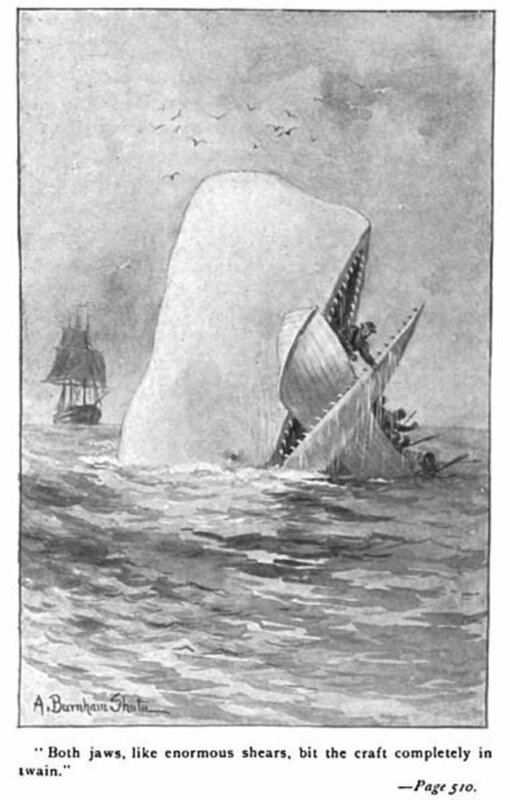 Most great white attacks are said to be a case of mistaken identity, as their main prey items are marine mammals, but that usually doesn’t make the person who has been bitten feel a whole lot better. Perhaps even more dangerous than the great white, the tiger shark is known to prey upon anything from seabirds to dolphins. 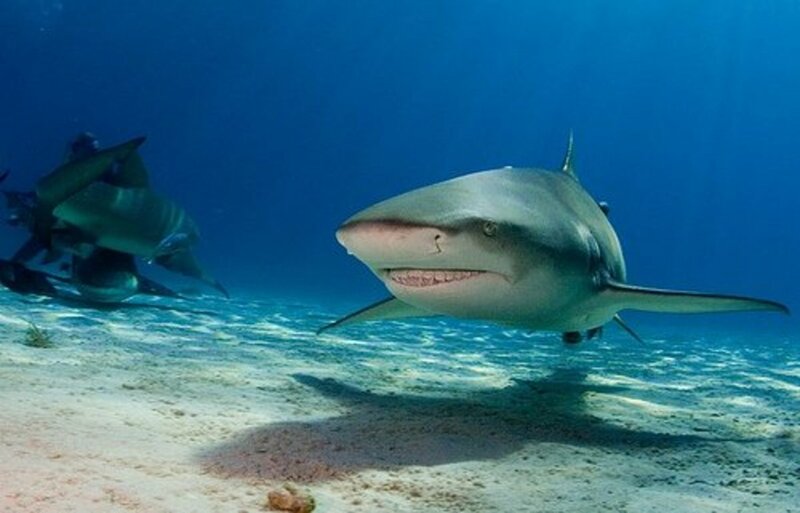 Frequently hunting near shore where humans swim, a relatively large percentage of tiger shark attacks result in fatalities compared to great whites. Tigers commonly reach lengths similar to the white shark, and some researchers believe the largest specimens can reach up to twenty-five feet. If that's true it might make us wonder if someone had written a novel about a killer Tiger Shark that this beast may be the one we fear most, instead of the Great White. 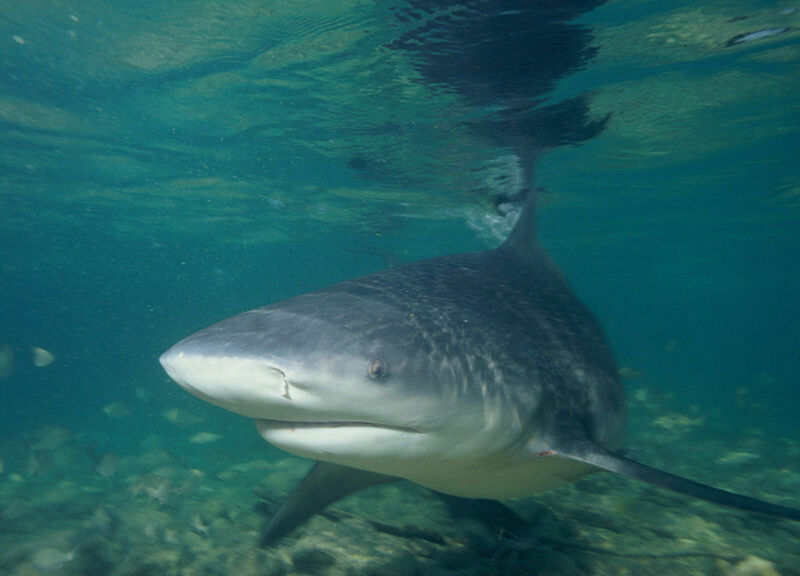 Unlike most other shark species, the bull shark can do well in fresh and brackish waters as well as marine environments. Bull sharks are regulars in rivers around the world, and even in some lakes. 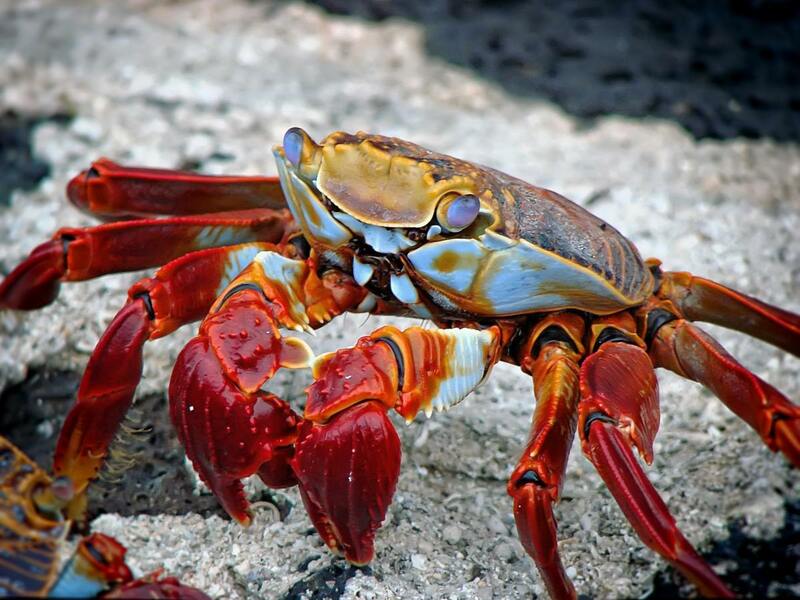 They are highly aggressive, and present a great risk to humans when they are around. With a maximum length of around eleven feet they are not the biggest sharks out there, but their thick bodies and ferocious temperament make them among the most dangerous. The largest of the hammerhead species can grow over 20 feet long. Though they've been depicted in action movies as dangerous adversaries of international spies, these giants are primarily fish eaters and rarely pose a danger to humans. Though there are documented hammerhead attacks on people, they are almost always defensive in nature. In rare cases they can inflict damage on careless divers. 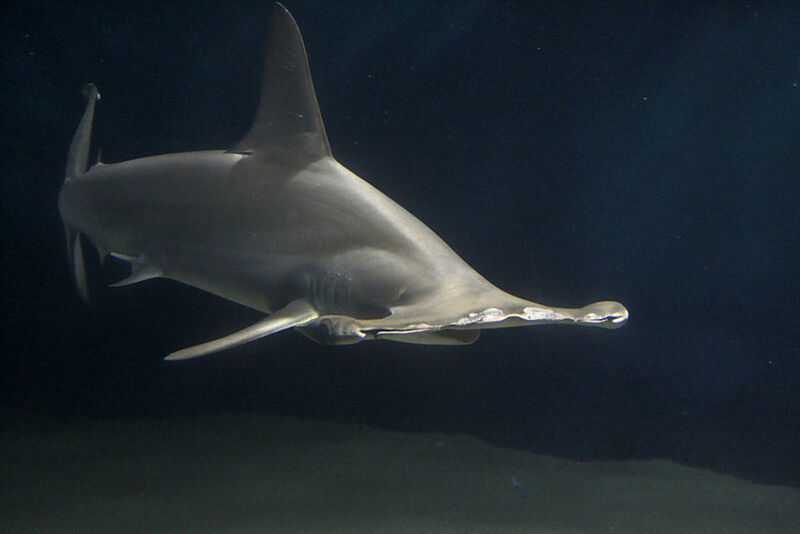 Like anything else in nature, if it has teeth and you don't respect it you may end up with short and sad list of regrets when it comes to the Hammerhead. A massive, 20-foot-plus predator that lives in the frigid North Atlantic, the Greenland shark might not be much for most of us to worry about, but it’s an interesting creature worth mentioning nonetheless. 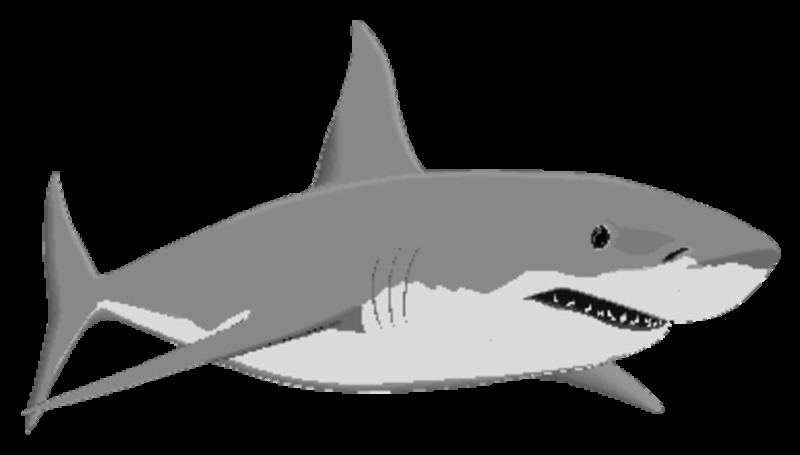 With a diet of mostly fish and marine mammals, and due to its slow movement, this shark is not commonly thought of as a danger to humans. However, local legends talk of these big sharks attacking kayaks, and there are stories of Greenland sharks surfacing to take prey off the ice. A 30-foot great white shark, a 25-foot tiger shark, a massive Greenland shark pulling you from the ice or a bull shark many miles from the nearest ocean—these are the things we dread the most when we go near the water. Megalodon may be gone, but there are still monsters in the sea. Then again, maybe the megalodon still lives, out there somewhere in the deep waters. If so, it makes even the largest great white or tiger shark look like a trout. Sharks are dangerous animals, and if you decide to go into the water you are entering their domain. But the sad truth is that sharks have far more to fear from humans than we do from them. 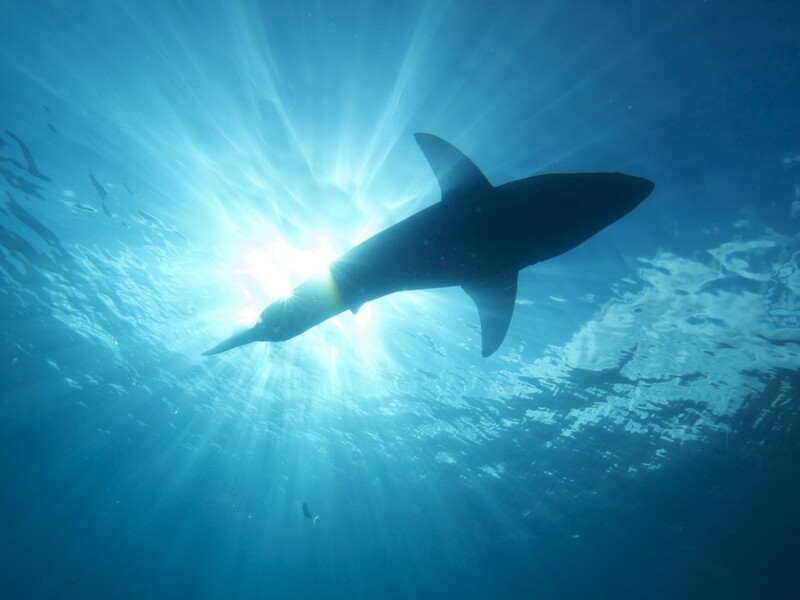 Illegal and unethical fishing practices have decimated the shark populations around the world, and few species go unscathed. When a shark attacks a human they are only trying to survive, but humans have destroyed the shark populations for no reason other than greed. As much as you may fear sharks, they are a very important part of the natural world. With proper education and conservation efforts many species can bounce back, but only if enough people are interested in making a difference. A healthy fear of sharks or any wild animal is a good thing. It reminds us of our place in the world from time to time, and maybe it keeps us a little more humble. And, remember, despite what you may have seen on old Saturday Night Live reruns, the surest way to avoid a shark attack is to stay out of the water! Do you worry about sharks when you go to the beach? Yes! I don't go in the water because of them. Yes, but it doesn't slow me down. Not really, but of course it's in the back of your mind. Sharks? In the ocean? Who knew? Thanks Sparrowlet. I saw that on the news yesterday. I never want to see anyone get hurt, but when we go into the ocean we need to understand we are really venturing into a wilderness complete with predators and prey . . . and you know which of those we are. 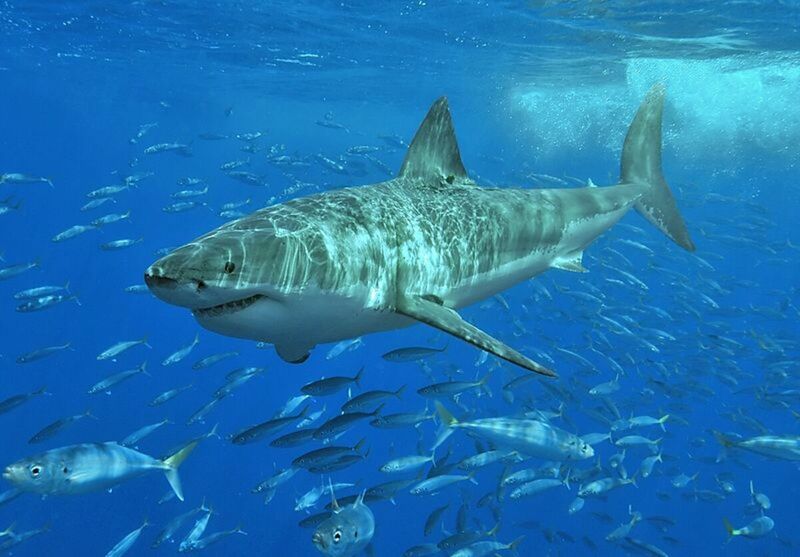 Luckily Great Whites most often only attack people out of mistaken identity, and those ladies got lucky. Nice hub! I live on Cape Cod and recently two women in a kayak were attacked by a shark who bit the kayak in half! They were, fortunately, rescued but it's a good thing it's fall and tourists have gone home! Sharks are scary, but your hub highlights the majestic creatures that they truly are. Well written and interesting. Voted up! Re: Whale shark evolving from Meg . . . whale sharks, along with basking sharks and megamouth, evolved along a different line than megalodon. They are related way back, but one did not likely evolve from the other. Is it a very,very rare possibility that the whale shark could be an evolved Megladon somwhere along the line losing its teeth & evolving to feed on plancton ? 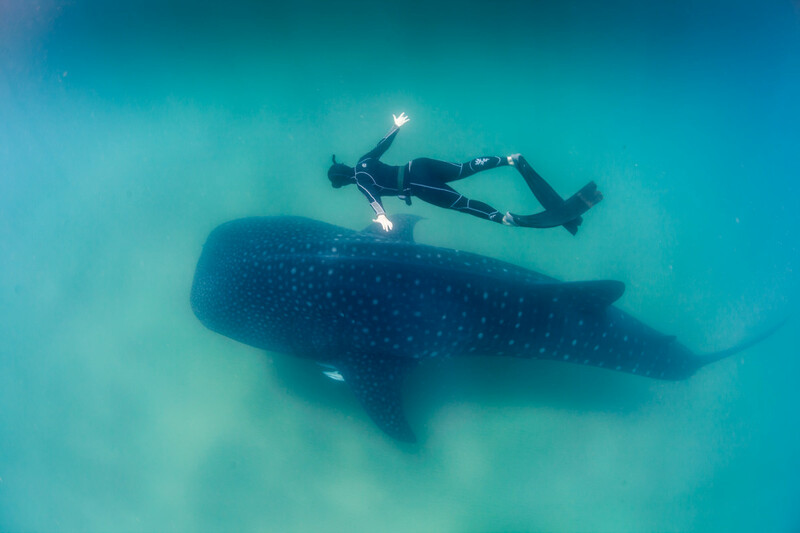 vibesites: You're right about the whale shark. Pretty interesting! I think the whale shark is the biggest shark, but it's funny to note that it's the most harmless of all sharks. It just feeds on krill andplankton. People can actually go near it while snorkeling. No sharks in the pool, except maybe the inflatable kind. 6 years ago from Buffalo, New York. Open expanses of water are creepy, even without the threat of shark attack. Then again I live inland so I can always see the land on the other side of any body of water. Conservation is very important so that our children and their children will be able to see the wonderful creatures of the world. Voted up and shared! These things are why I go to the beach and swim in the pool! Yeah, no shark bait here! Great Hub! I'd love to dive with a whale shark but I can imagine how their sheer size would be unnerving, even though they wouldn't see you are prey. I have dived with filter feeding sharks before and even though i know they are not going to try to take a bite they are still pretty intimidating! Interesting Hub!!! I live near the ocean, well actually the sound, and we have only had a very few shark scares in my area. I do not fear them, but I do respect the ocean and its many dangerous creatures. Thanks CS. I don't worry much about sharks either when I'm swimming or snorkeling, but I have to admit I do think about them. It's hard not to, especially when there are other big fish around! I don't normally worry to much about sharks in the ocean. I wonder if that's a good or bad thing? I don't wanna be so scared of sharks that I'm afraid to go in the water. But, I don't want to be ignorant either. Nice hub by the way!